What many were calling baseless speculation and wishful thinking, the grainy image of a possible Liokaiser limb just gained more traction thanks to Twitter handle Hobby Drifter. 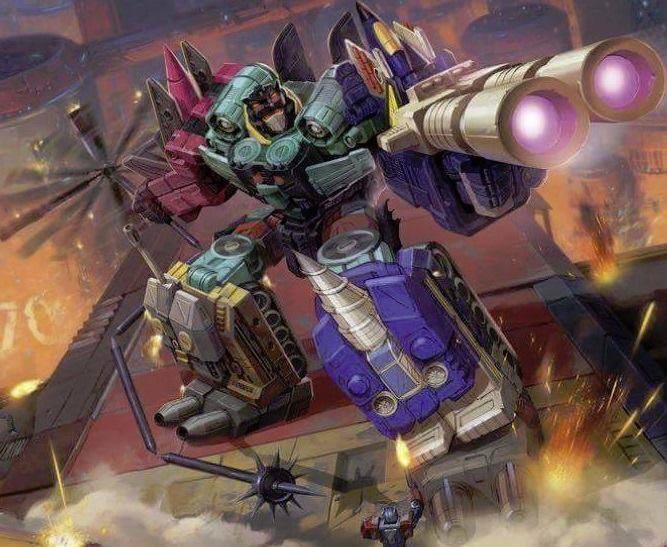 Hobby Drifter posted what looks like official artwork for a Combiner Wars Liokaiser, although the original source is unclear. The rumor and speculation mill will continue to spin, but what do you think? Is this official Liokaiser artwork, is it really happening? Sound off in the thread below! The post Possible Liokaiser Artwork Leaked appeared first on Transformer World 2005 - TFW2005.COM. 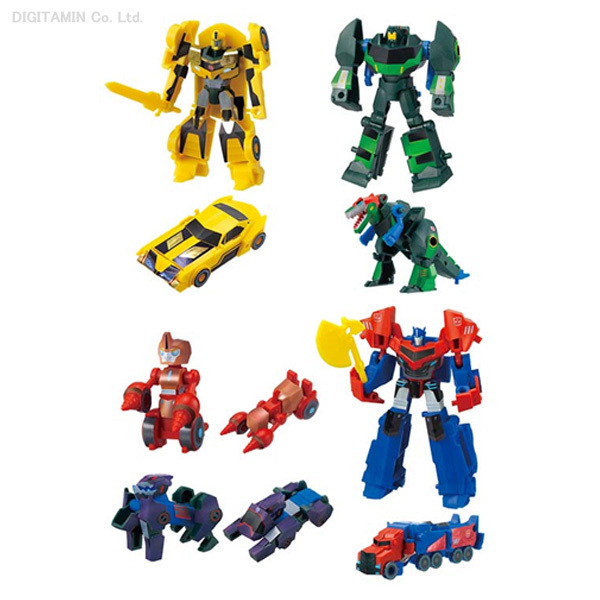 Thanks to an item listing on rakuten.co.jp, we’ve learned that there will be new Kabaya Candy releases for Transformers Adventure characters (also known as Robots In Disguise). Scheduled for a February release at 2,730 yen (just over $23 USD), the following characters will be seeing a new Kabaya kit: Bumblebee Grimlock Optimus Prime Fixit Underbite According to the item description, there will be 6 figures to a case, and the assortment is random. Continue on to the discussion thread to share your thoughts on these new kits! The post Kabaya Candy Reveals New Kits For Transformers Adventure appeared first on Transformer World 2005 - TFW2005.COM. 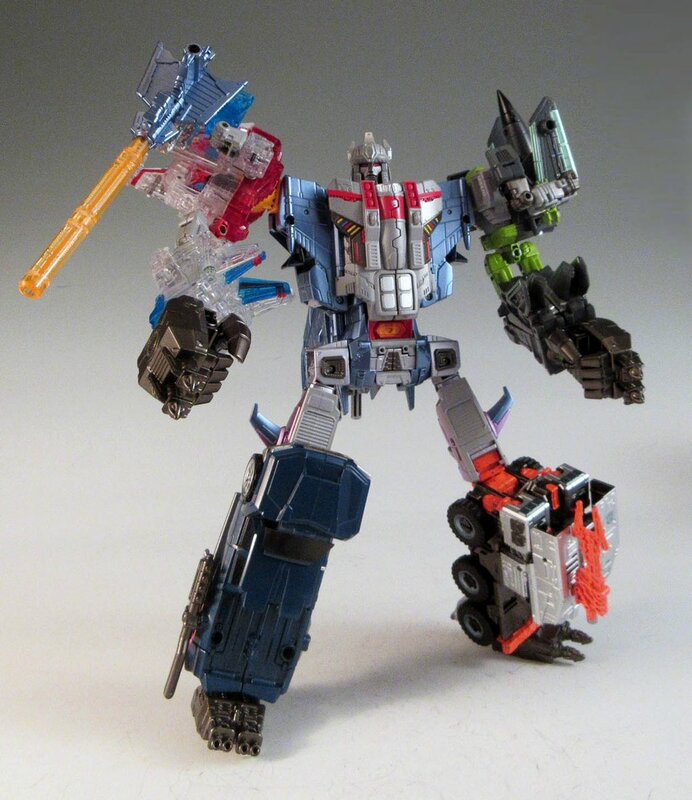 First Look at Upcoming Combiner Wars Liokaiser? Zmultiplier on Weibo has shared a very interesting picture of possibly an upcoming Combiner Wars figure. We see the Combiner Wars Brawl mold in combined mode with some added tweaks. First of all we see the new weapon that it’s a drill instead of a gun barrel. To the edges of the frame there is a new combiner foot as well as a new hand. Is this a leak of an upcoming Liokaiser, or test shots of a new third party add on set? Discuss in the forums what you guys think! 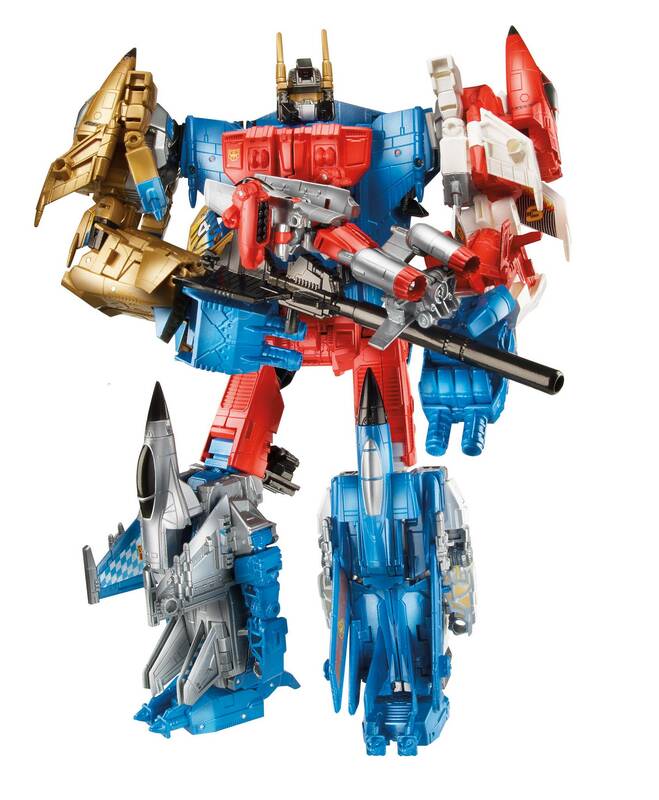 The post First Look at Upcoming Combiner Wars Liokaiser? appeared first on Transformer World 2005 - TFW2005.COM. 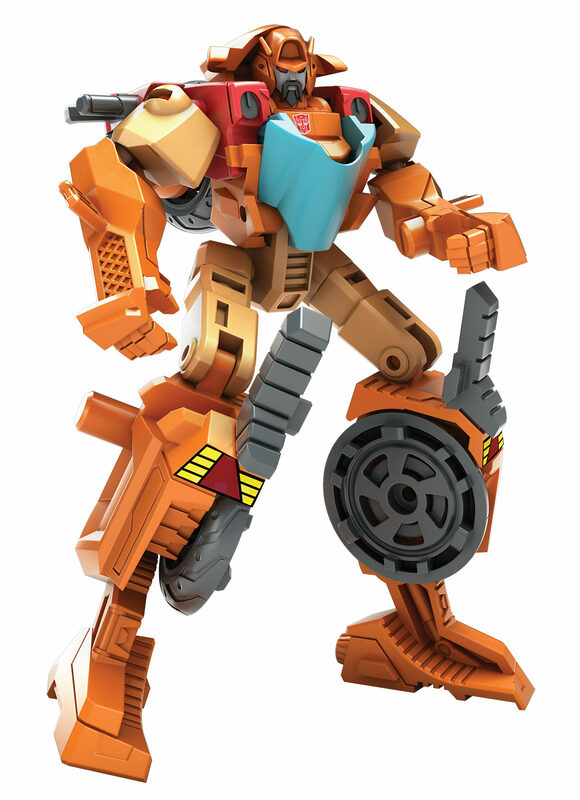 Via Entertainment Earth, we have an in-package image of the Robots in Disguise Warrior class Wave 6. Wave 6 is adding Thunderhoof, Quillfire, and Blizzard Strike Drift to the line, and if this image is anything to go by, the rest of the case will include Night Strike Bumblebee, Blizzard Strike Optimus Prime, Sideswipe, Strongarm, and Megatronus. A case where each toy features only once? That may make Thunderhoof and Quillfire a bit tricky to find, for those wanting to bolster their Decepticon ranks. The post Robots in Disguise Warrior Wave 6 In Package Image and Case Assortment Details appeared first on Transformer World 2005 - TFW2005.COM. The speculation may be over very soon for the fate of a Combiner Wars Computron. TFW2005 member IceConvoy has come to us with a report that he has found a Computron item listed in the Toys ‘R Us computer systems with an item number of 367596, a sale date of May 1, 2016, and price point of $99.99 suggesting this will be a box set release. Although this is excellent evidence, anything can still happen. Hopefully we will see an official reveal come Toy Fair. For now, let’s start speculating and discuss in the thread linked below. 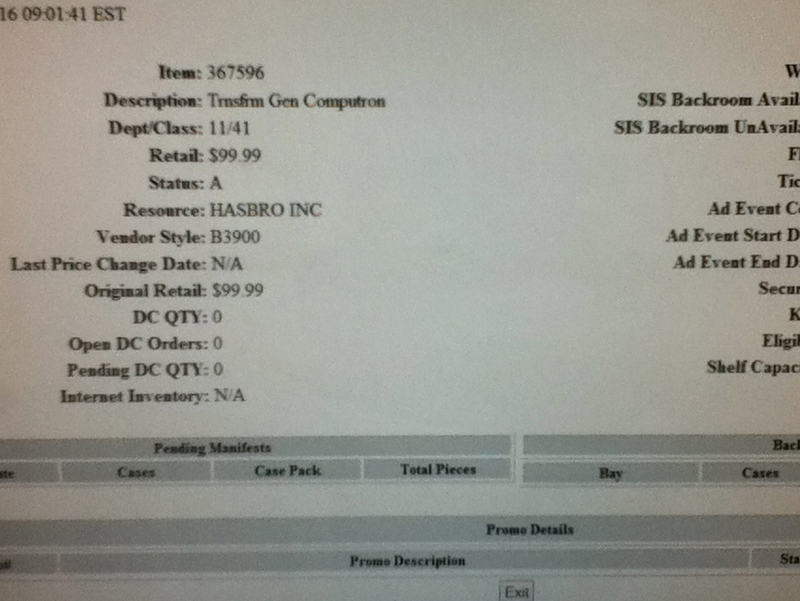 The post Combiner Wars Computron Listing Found In Retail Computer appeared first on Transformer World 2005 - TFW2005.COM. The Takara-Tomy website has updated with a new image of the Million Publishing Generations 2015 exclusive Dogfight VS Runamuck set. The image shows the two pack in all their glory, who are recolors of Combiner Wars Viper and Transformers Adventure Runabout, respectively. Both are looking exceptionally sharp, and doubtless will stand shoulder-to-shoulder with previous Million Publishing exclusives like Stepper or Goshooter in terms of the quality of their decos. 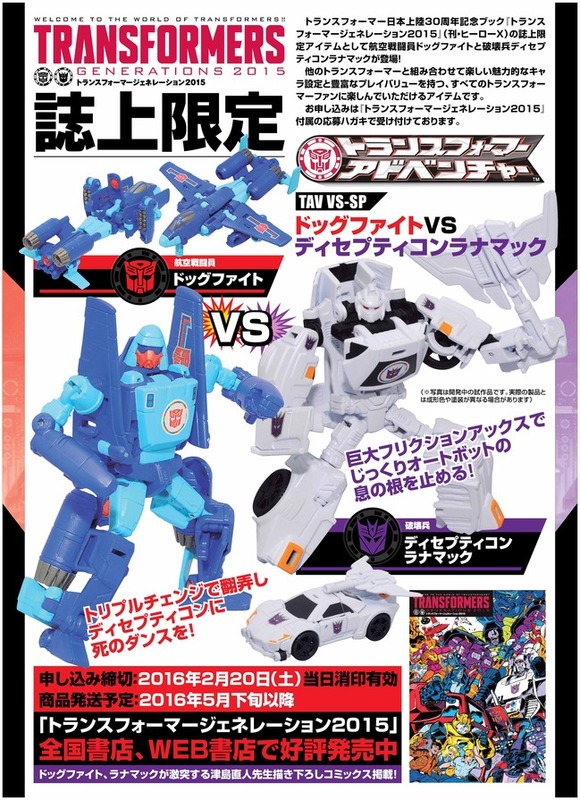 The post New image of Million Publishing Dogfight VS Runamuck Two Pack appeared first on Transformer World 2005 - TFW2005.COM. Via our sister site Cybertron.CA, we can report that the Combiner Wars Generation 2 Superion giftset has arrived at Canadian retail. According to Cybertron.CA member Saundowaivu, Superion is gracing the shelves of the Toys R Us in Orleans, Ontario, priced at $150CDN. With Generation 2 Superion out in Canada, can a US sighting be far away? Watch this space for future updates! The post Combiner Wars Generation 2 Superion Giftset Released in Canada appeared first on Transformer World 2005 - TFW2005.COM. Via a listing at our sponsors Robot Kingdom, we are able to reveal which toys will be included in Combiner Wars 2016 Legends Wave 2 / Legends Wave 6. We already knew that Groove remold Wreck-Gar was on the cards for this new assortment, and we can now reveal that the Junkion will be joined by repacks of Shockwave, Bombshell, and Warpath from previous waves. As yet, there is no indication on how many of each will be in a case – but this is good news for those who missed out on Bombshell or » Continue Reading. 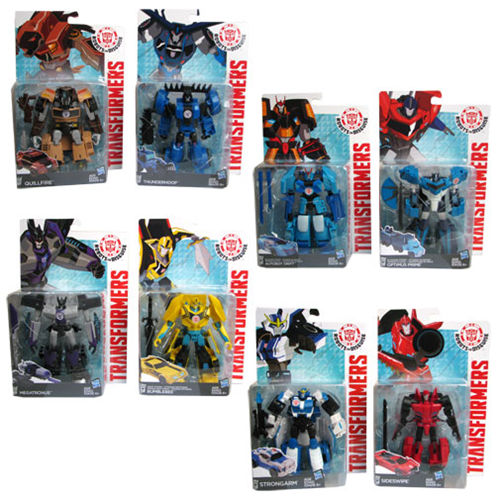 The post Combiner Wars 2016 Legends Wave 2 Assortment Revealed appeared first on Transformer World 2005 - TFW2005.COM. Following the announcement of Transformers: Robots In Disguise Season 2 Release, Hasbro has uploaded Overload Minicon Deployer TV Commercial to their YouTube Channel. With it, we get our first proper look of the Decepticon’s animation model in action. Previously we were given a small tease of Overload’s hand and a rough outline via several shorts featuring the new Minicons. The commercial also features Deception Back and Deception Hammer Cyclone Minicons. Check it out, after the jump. The post Transformers: Robots In Disguise Overload Minicon Deployer TV Commercial appeared first on Transformer World 2005 - TFW2005.COM. Takara-Tomy’s Hisashi Yuki has tweeted a new image of the Unite Warriors Grand Galvatron. This new image shows the largest image yet of the new gestalt, and lets you appreciate the details applied to the five robots that make up the combination – Cyclonus, Ghost Starscream, Wandering Roller, Curse Armada Thrust, and Zombie War Breakdown. Check out the new image attached to this post. The post Unite Warriors Grand Galvatron new image appeared first on Transformer World 2005 - TFW2005.COM. Thanks to eBay member herbieside, we’ve received more in-hand images of the Combiner Wars G2 Stunticon set! We’ve seen our share of in-hand images of these guys, but as the release date inches closer we figured it’d be nice to build the excitement up a little more! Enjoy the images after the jump. 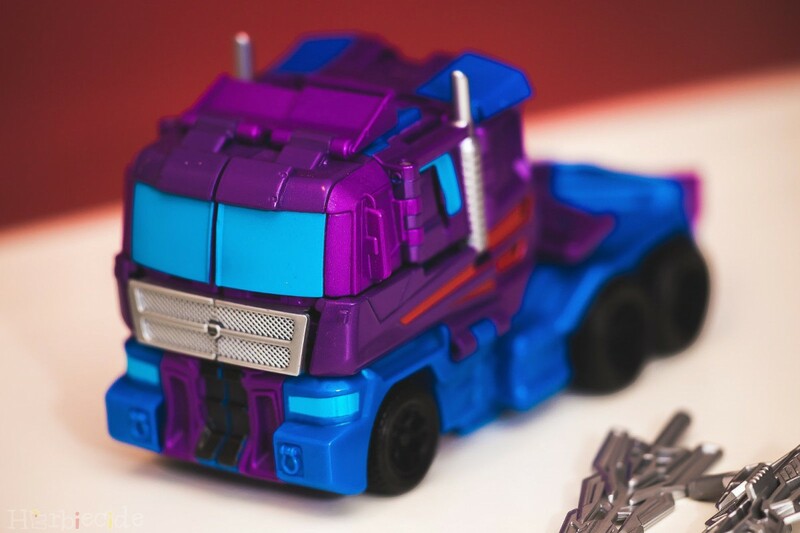 The post Combiner Wars G2 Stunticons – New In-hand Images appeared first on Transformer World 2005 - TFW2005.COM. Earlier today we received an announcement hinting towards a combination of Q-Transformers and the 20th Anniversary of Beast Wars. 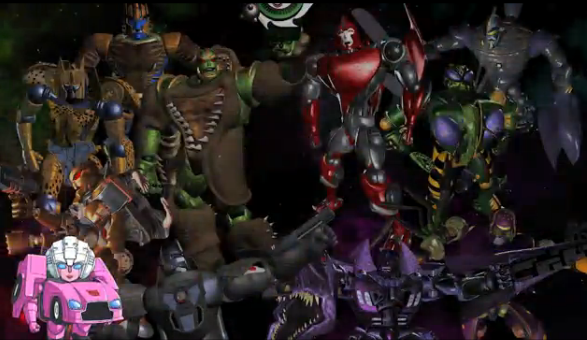 It was easy to jump to conclusions and assume we’d be seeing Beast Wars characters in the Q-Transformers styling. Unfortunately for now, it looks like we are not seeing merchandise in this form. Although our hopes were high, the announcement was rather a short video of Beast Wars history presented by Q-Transformers Arcee. The short video can be found on Nicovideo, although we do not have a thorough translation at this time. Given the popularity of Q-Transformers, is it » Continue Reading. The post Q-Transformers Arcee Talks Beast Wars Anniversary appeared first on Transformer World 2005 - TFW2005.COM. In an interview with Rolling Stones, Michael Bay has confirmed to return as the Director of Transformers 5. The interview has also revealed a couple of concept work for the next movie. “Between his producing duties and directorial work, Bay usually has a half-dozen projects going at once. Right now, in addition to 13 Hours, he’s doing post-production on the next Teenage Mutant Ninja Turtles, which he’s producing and which is due in 2016, and pre-production for the next Transformers, which he’s directing for summer 2017. “I’m doing Transformers … 5, is it?” Bay says, temporarily losing track. He shakes » Continue Reading. The post Michael Bay Confirmed As The Director Of Transformers 5 And TF5 Movie Info appeared first on Transformer World 2005 - TFW2005.COM. Last year, Licensing.biz Magazine and Variety were the first to announce the release of Transformers: Robots In Disguise animated series on Cartoon Network. Today, Licensing.biz Magazine official website has announced the details of the Second Season along with the release of the show on CITV, United Kingdom. “CITV is celebrating the arrival of the first series of Hasbro Studio’s Transformers: Robots in Disguise. The cartoon series lands on the popular children’s network today and with 26 episodes, will air at 7.45 on weekday mornings. The show – which has been commissioned for two full series and a movie – » Continue Reading. The post Transformers: Robots In Disguise Season 2 Release Date And Other Info appeared first on Transformer World 2005 - TFW2005.COM. More new images are coming in via 飞天德1985_6815 of Weibo showing off Leader Class Blaster! These images are more detailed than we’ve seen prior and show off Blaster’s “cassette” partners as well (Rewind, Eject, Steeljaw, and Ramhorn). We’ve mirrored the images for you after the jump. This figure is set to be one of the most anticipated of 2016, share your thoughts in the discussion thread linked below! 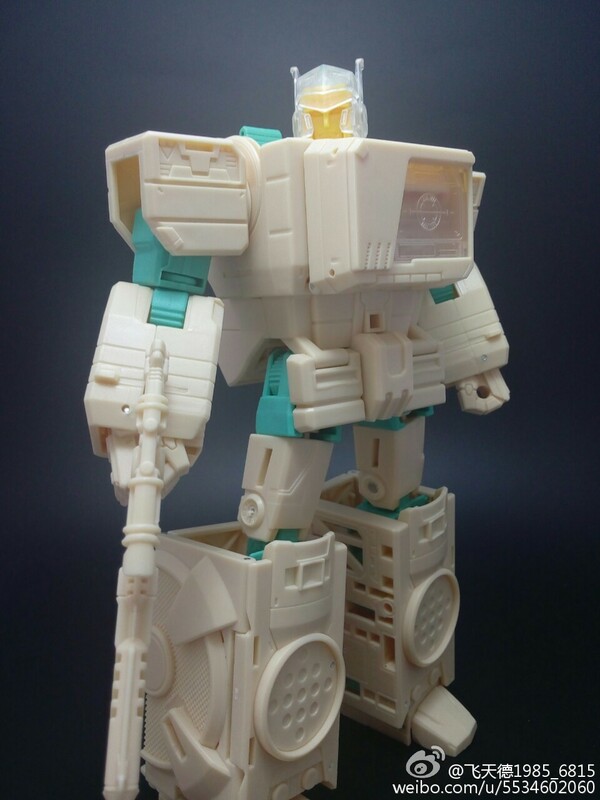 The post Titans Return Leader Class Blaster – More New Prototype Images appeared first on Transformer World 2005 - TFW2005.COM. Third party group Fans Toys, well known for their Masterpiece inspired figures, has started 2016 off with the king of reveals! 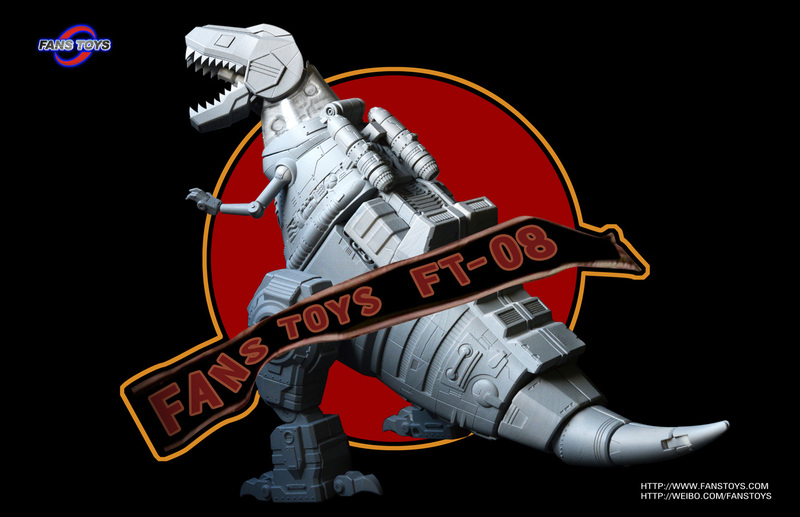 Revealed earlier today were prototype images of their Grinder figure, a Masterpiece inspired homage to Grimlock. Grinder is pictured here as a taller and overall bigger representation of Grimlock, standing a full head above the official version of the character. It looks like he’ll come with his traditional sword along with some other nods to the character. No pricing or release date information is available yet, but we have a full set or dinosaur and robot mode images to start » Continue Reading. The post Fans Toys Reveals Grinder Prototype Images appeared first on Transformer World 2005 - TFW2005.COM. 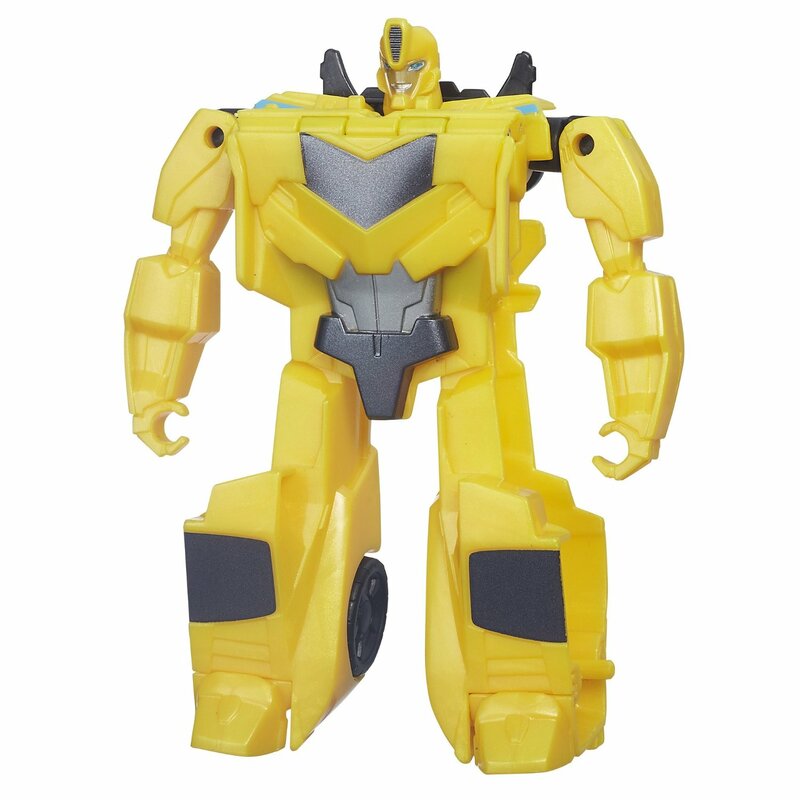 Amazon has been updated with a couple of new toys from the Transformers: Robots In Disguise toyline. Both toys belong to the One-Step Changers line and are not repaints of their already existing One-Step Changer toys. Usually One-Step Changer toys are priced at US$ 11 while these new toys; Patrol Bumblebee and Patrol Sideswipe are three times the usual price at US$33 each. Both toys were revealed earlier as Switchblade Bumblebee and Switchblade Sideswipe on the RID Official Mobile Game update back in last November. Toy Descriptions: Figure converts from robot mode to sports car mode and back » Continue Reading. The post New Robots In Disguise One-Step Changers Revealed appeared first on Transformer World 2005 - TFW2005.COM. From the twitter of Takara designer Hisashi Yuki, we have an official image of the upcoming Takara Legends Armada Thundercracker/Armada Starscream Super Mode! The image features Thundercracker both out of his packaging and in. This is also our first look at him in the packaging which further proves we can expect to see him arriving soon with little-to-no further delay! He’s set for release around the end of this month, so be sure to click the sponsor links in the sidebar to place your pre-orders! 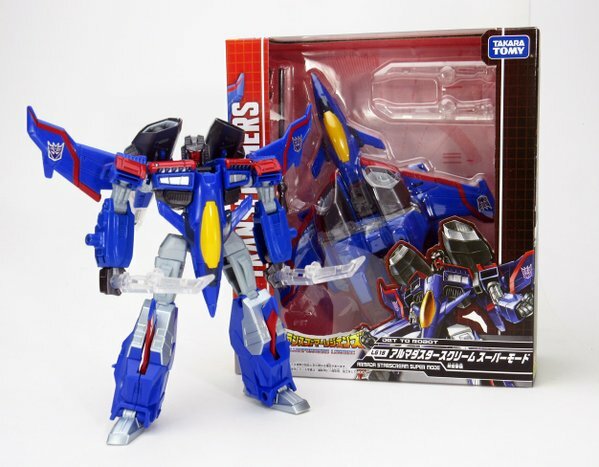 The post Takara Legends Armada Starscream Super Mode (Armada Thundercracker) – Packaging Image appeared first on Transformer World 2005 - TFW2005.COM. There was more glory for James Roberts and More than Meets the Eye today. 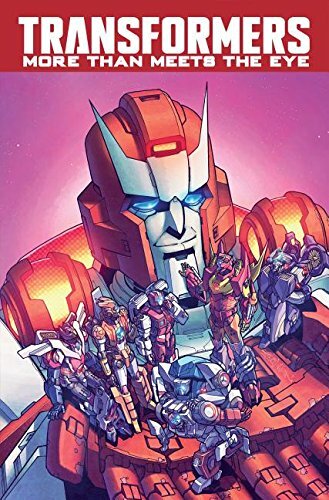 After both creator and series won awards for outstanding writer and continued excellence, respectively, in the Comics Alliance awards, Mr Roberts’ work on More than Meets the Eye has received further honor and praise in the Comic Book Resources “Top 100 Comics of 2015“, placing 85th on the top 100. CBR columnist Hannibal Tabu likens Mr Roberts’ work to that of Larry Hama’s on G.I. Joe, praising how the series has moved beyond the core Transformers concept of “good robots fight evil robots” into » Continue Reading. The post More than Meets the Eye ranked #85 on Comic Book Resources’ Top 100 Comics of 2015 appeared first on Transformer World 2005 - TFW2005.COM. The Hasbro Transformers Facebook page has posted some artwork showcasing the fan-made Combiner, Victorion! Due for a release later this year, Victorion is an all-female team of Autobot allies known as the Torchbearers. 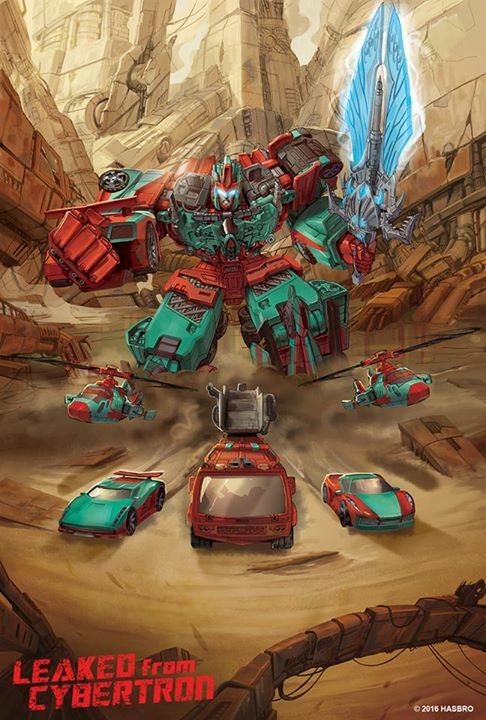 The artwork shows the combined form of Victorion, and five out of the six characters who form her in vehicle mode. The five shown are helicopter twins Stormclash and Skyburst, sports cars Jumpstream and Dustup, and team leader Pyra Magna, who is the fire engine. The sixth member of the group, Rust Dust, is notable by her absence. Check out the artwork in all its glory, » Continue Reading. The post Combiner Wars Victorion Artwork appeared first on Transformer World 2005 - TFW2005.COM.